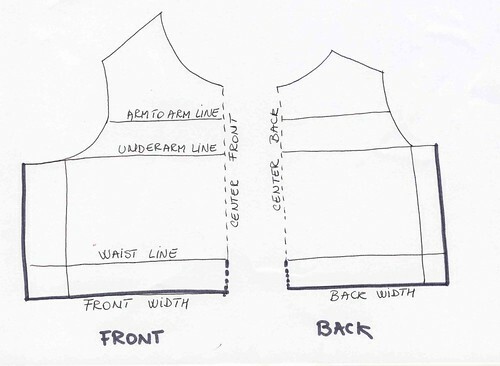 Take your basic pattern for the bust and put the front and the back, side by side, like this. 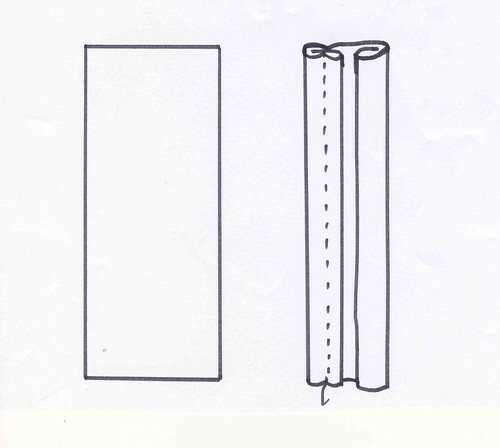 The front and the back patterns are cut to fold. Extend patterns with your desired length, beyond the waistline. When you enlarge the chest width, it is preferable to lower the armhole line like this. Move down the new underarm line with 5 cm and mark 2.3 cm for the front and 3 cm for the back on the bisector between the arm-to-arm height and the new underarm line. 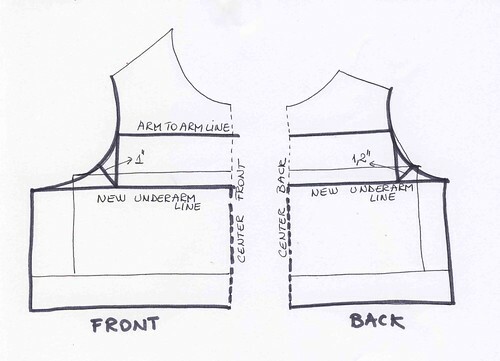 Trace the new armhole curve from the arm-to-arm line. Draw the V-neck. 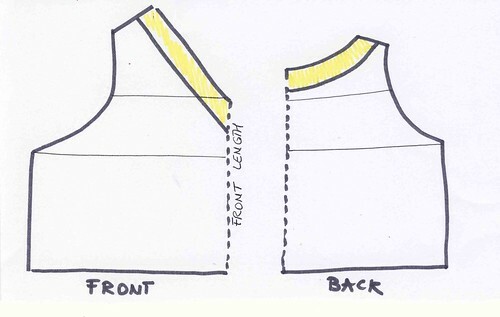 Choose the width and depth of the front neckline so your head can pass throughway. The width of the back neckline should be the same as for the front. Redraw the back neckline by observing a 3cm flatness on the mid back curve. Do not forget the pattern for the collar facing if you want a nice finish. 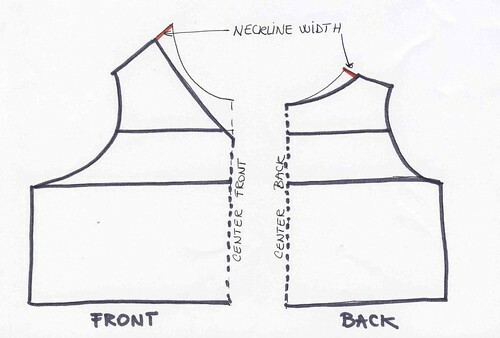 It’s very simple, draw a parallel line to 5 cm from front and back neckline and copy it on a new sheet. 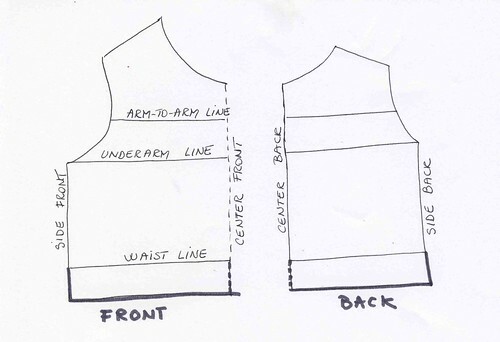 Build your sleeve by using the armhole width and depth as shown in one of my previous posts. For the ornamental broad strip, I cut a piece of fabric that I then folded and sewn like this. Your pattern is now completed. You can choose silk but also cotton fleece for something more casual like a t-shirt or a sweat. This entry was posted in Patterns and tagged pattern, top.